The place is the historic lecture theater of the Royal Institution in London. The date is the 4th of June 1903, and the inventor, Guglielmo Marconi, is about to demonstrate his new wireless system, which he claims can securely send messages over a long distance, without interference by tuning the signal. The inventor himself was over 300 miles away in Cornwall, preparing to send the messages to his colleague Professor Fleming in the theater. Towards the end of Professor Flemings lecture, the receiver sparks into life, and the morse code printer started printing out one word repeatedly: “Rats”. It then spelled out an insulting limerick: “There was a young man from Italy, who diddled the public quite prettily”. Marconi’s supposedly secure system had been hacked. Nevil Maskelyne, circa 1903. From the Royal Institution. The person behind this hack was Nevil Maskelyne, an inventor, magician, and general troublemaker who was a long-time rival of Marconi. He was the manager of a rival wireless company and had been involved in a number of disputes with Marconi over the patents that covered wireless telegraphy systems. He decided that the most effective way to show that Marconi’s claims were hollow was a practical demonstration. His plan involved setting up a transmitter not far from the lecture (supposedly in the theater that his father, a famous stage magician, owned) that would overwhelm the signals from Cornwall. His transmitter, he claimed, was not run at full power: while it was capable of outputting 8 or 9 Amps, he turned it down to 2.5 Amps. He didn’t simply block the signal, but instead transmitted his own morse signal for a short time, claiming that he “studiously refrained from all unnecessary interference”. Scientific Identity, Portrait of Guglielmo Marconi. Smithsonian Institution. His plan worked. Towards the end of the lecture, Maskelyne’s signals were picked up by the receiver, decoded and noted by Fleming, who wrote to the Times complaining of “Scientific Hooliganism”. A slew of letters to and fro in the Times followed, where Maskelyne and Fleming argued over if the interference was caused by Maskelyne or other phenomena, such as ground loops or the electrical lighting in the theater. In the end, the hack did little to dent Marconi’s reputation. Just the year before, he had sent the first wireless signal across the Atlantic and started a commercial transatlantic service a few years later in 1907. That same year he was awarded the Nobel Prize with Karl Ferdinand Braun “in recognition of their contributions to the development of wireless telegraphy”. When he died in 1937, the BBC observed two minutes of silence in respect, and asked all radio transmitters to do the same. What the hack did, however, was to reframe the discussion on wireless security. Rather than accept Marconi’s assertion that these signals were secure and could not be interfered with, researchers afterward started looking into ways that these could be monitored, jammed and otherwise manipulated. The ease with which Maskelyne could monitor the signals was also an eye-opener for governments and lead to the development of wireless encryption systems that were used in World War I, II and beyond. Nevil Maskelyne died in 1924, and is best known for his other career as a magician. He wrote “Our Magic: the art in magic, the theory in magic, the practice in magic”, a magic textbook that is still in use. His son Jasper Maskelyne applied these magical skills in World War II, where he was involved in the development of the fake munitions, tanks, and other trickery that helped mislead the Nazis in the lead up to D-Day, and taught soldiers how to hide escape tools in everyday items. If you want to read more about this fascinating period in the history of technology, Thunderstruck by Erik Larsen is a great place to start. It details the history of radio by discussing the life of Marconi and how his invention helped to catch the notorious murderer, Dr Crippen. I love it when you guys post these sort of historical articles. Thanks! If you ever need a new name for HaD I think that “Scientific Hooliganism” is it. What about the fact that Marconi took credit for inventing the radio but Tesla invented it years before? However Bell made the first wireless transmission before Tesla. That’s an amazing story, thanks! “Devil in the White City” is also a really good book by him, highly recommended. Thankfully, we can all put these petty insults behind us as hackers have since moved on to much more mature and elaborated tirades such as “OMG UR PWNED!!! LOLZ!!!”. Marconi was a Hacked puppet using other peoples creations poorly at the whim of money. This is a fun article about something I’d never heard about before. Very cool! Yes I like the idea of calling HaD “The Electrician” after the now defunct magazine of the same name. Defunct in 1952? I think all copyrights and patents have expired? Or “HackADay – The Electrician” or some variation on the theme? The Eastern Telegraph Company ran the communications hub of the British Empire from the seaside hamlet of Porthcurno, west Cornwall, where its submarine cables led to Indonesia, India, Africa, South America and Australia. 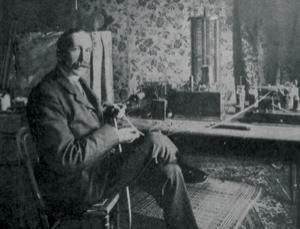 Following Marconi’s feat of transatlantic wireless messaging on 12 December 1901, E.T.C. hired Maskelyne to undertake extended spying operations. …Minutes before Fleming was due to receive Marconi’s Morse messages from Cornwall, the hush was broken by a rhythmic ticking noise sputtering from the theatre’s brass projection lantern, used to display the lecturer’s slides. To the untrained ear, it sounded like a projector on the blink. But Arthur Blok, Fleming’s assistant, quickly recognised the tippity-tap of a human hand keying a message in Morse. Someone, Blok reasoned, was beaming powerful wireless pulses into the theatre and they were strong enough to interfere with the projector’s electric arc discharge lamp. Yes, but antenna current is used for tuning. That would be the very definition of a troll. Yeah I read the definition and history of the term, so I can tell you for example are a third rate troll with the IQ of a cockroach. Ha, what about all the letters to the editor in newspapers? Troll is a sociological phenomena, not just a person on the internet . Most of the nastiest trolls a female because they are really good at nonviolent abuse as any observer of teenage girls interacting will tell you. http://earlyradiohistory.us/1963hw06.htm When the uniformed try to contravene the speed of electromagnetic radiation. Apparently there were people on our side in the WW2 effort that figured that our BS could beat the Nazi BS. A great story, though Loomis and others likely invented radio before Marconi, just as Bell may or may not have been the first with the telephone. Similar things occurred with the development of personal computers. But the most successful ones knew how to finance and market themselves. In any case apparently it took a while for people to understand what radio could and could not do. At the inquest into the sinking of the “Titanic” Charles Lightoller, the surviving senior officer, tried to cover up how many iceberg reports they had received. He apparently thought they were like telegrams and only heard by one ship at a time. Copies of radio logs soon showed him to be wrong. It was hardly Marconi’s wireless system; it “borrowed heavily” (polite phrase) from Tesla’s work (Marconi actually attended talks by Tesla on wireless), and Tesla himself was building on the works of others. Even the US Supreme Court eventually (after Tesla’s death) admitted that the wireless telegraphy patents should never have been granted to Marconi. For any amateur (or professional) magicans reading this thread, Neville Maskelyne’s “Magic and Showmanship” is indispensable. Let’s bring this one back! That cheap usb tv stick used as an SDR is barely even syntonic. My signal is clean. It’s only causing you interference because your cheap import receiver is clearly nonsyntonic.